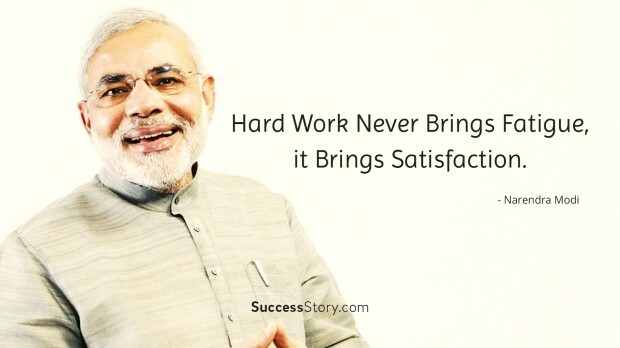 Narendra Modi is a living example of the fact that success has to do nothing with where a person comes from.Born into a lower middle class family of grocers from Gujarat, he started by running a tea stall and today is the 15th Prime Minister of India.His political inclination was visible from an early age as he became a part of the training conferences of the Rashtriya Swayamsevak Sangh (RSS) when he was just 8 years old. "Coming age is the age of knowledge. However rich, poor or powerful a country be, if they want to move ahead, only knowledge can lead them to that path." 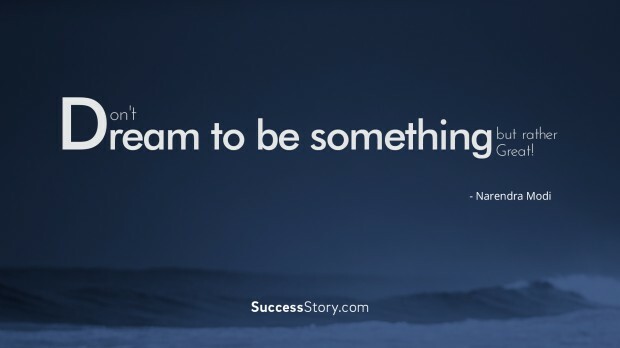 "Don't dream to be something but rather dream to do something great!" 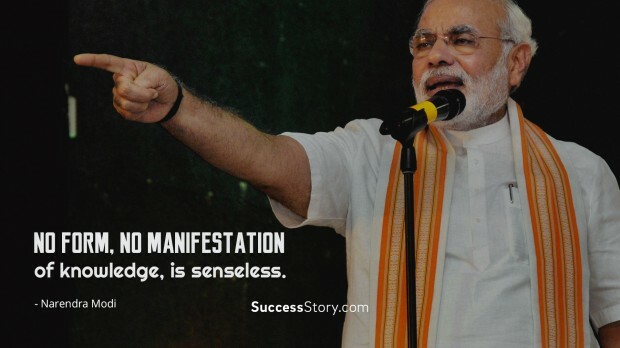 "No form, no manifestation of knowledge, is senseless." "An opportunity to work is good luck for me. I put my soul into it. 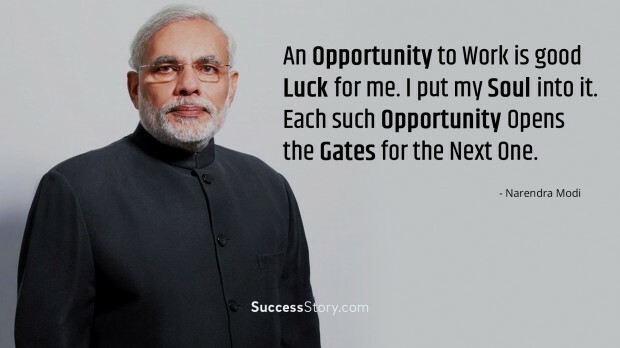 Each such opportunity opens the gates for the next one." 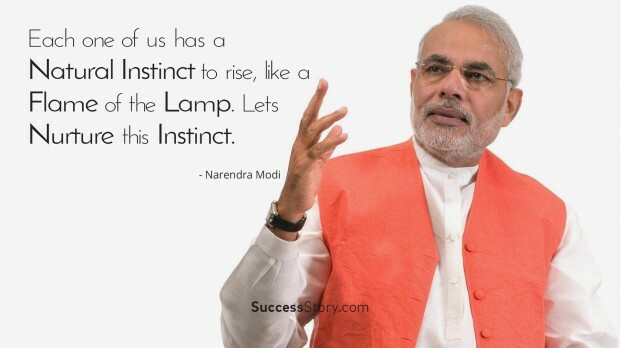 "Each one of us has a natural instinct to rise, like a flame of the lamp. Lets nurture this instinct." 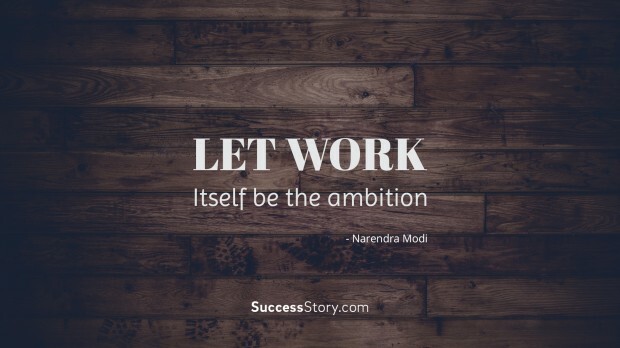 "Let work itself be the ambition." "Hard work never brings fatigue, it brings satisfaction." 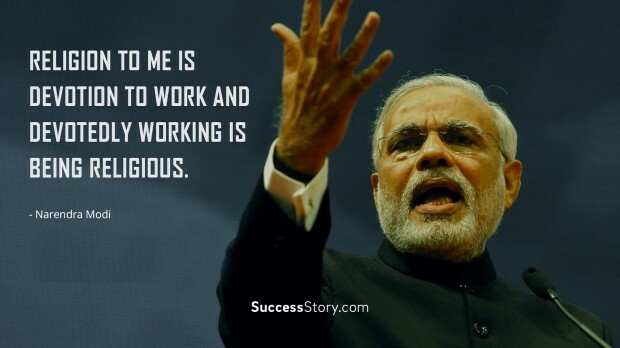 "Religion to me is devotion to work and devotedly working is being religious." 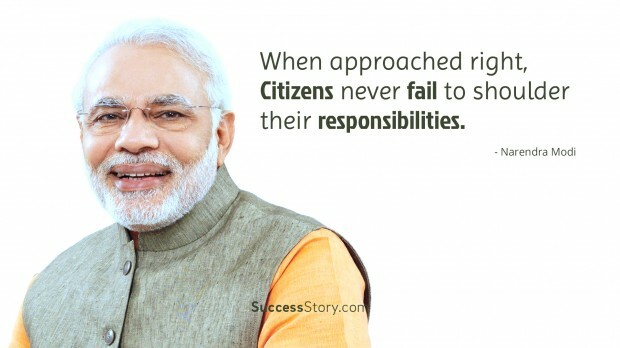 "When approached right, citizens never fail to shoulder their responsibilities." "The 21st century is the century of knowledge. Knowledge, science and education will have the power and strength to embrace the entire universe." 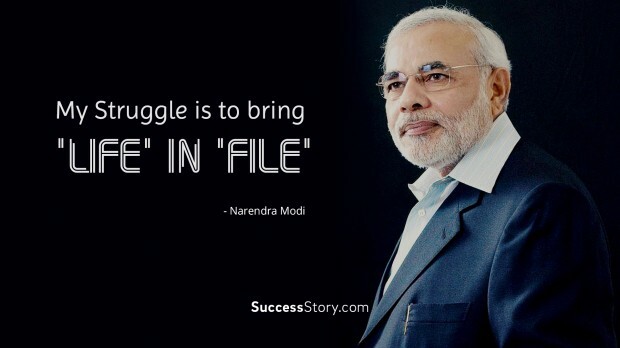 "My struggle is to bring 'life' in 'file'." 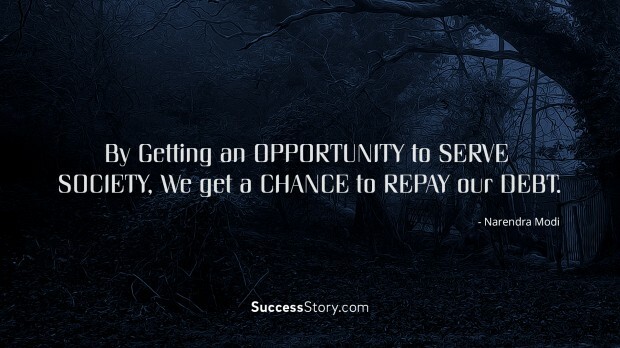 "By getting an opportunity to serve society, we get a chance to repay our debt."